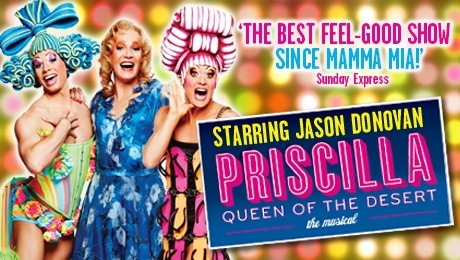 Priscilla, Queen of the Desert triumphed in London’s West End when it showcased an array of dazzling sets, outrageous costumes, and iconic sing-along musical numbers covering the last three decades. What's not to love? 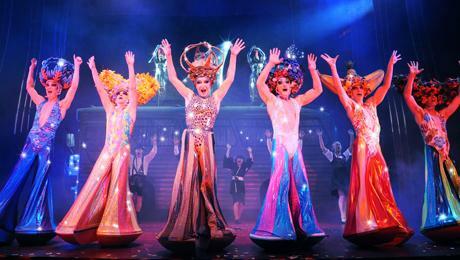 The UK tour, now in its second year, pit-stopped at the Edinburgh Playhouse for a limited week only run. The production is a little stripped back compared to its West End counterpart, particularly with regards to the set which adopts a more simplistic but equally as colourful look. However, this in no way detracts from the feel good element of the show that would not have been complete without some brilliant performances from all cast and creatives. The show is based on Stephan Elliott’s cult 90’s film and the stage adaption sticks closely to its cinematic narrative, telling the story of two drag queens and a transsexual that travel across the Australian outback in a pink pimped out coach called Priscilla. Tick (Jason Donovan), Felicia and Bernadette come across some unusual characters on their 1,700-mile journey from Sydney to Alice Springs where Tick finally meets his young son Benji for the first time. A theatrical narrative that zips from scene to scene efficiently with just the right amount of comedy, heart and soul. The dizzying high (and the bar owner's dangling lows) of a sequence in mid-Outback Australia is neatly juxtaposed with a moment where we - the characters and the audience - are shocked back into the reality that for many LGBT people, homophobia is still a real and tangible threat. It was an extremely memorable sequence, more so because it allowed us to experience how this must feel. Star attraction Jason Donovan reprises his West End role of Tick and although he does the role great justice, packing a powerful vocal which undeniably merits his headlining title, it is apparent that he panders to the audience somewhat. Donovan’s strongest moments come when he is immersed in the character, revealing the emotional complexity of his characterisation. The real star of this production, however, is Richard Grieve who gave a textured and grounded portrayal of post-op transsexual Bernadette. Special mention must also go to the wonderful job done by Liam Marcellino as Felicia - despite being the understudy, it was an assured and confident performance that merits many more opportunities. They are ably supported by a committed cast of rippling male torsos, deliciously comic actors (including hilarious Woo Woo bar owner, Shirley and Bob's wife, Cynthia), and three simply superb female lead singers in 'The Divas'. It's worth noting that even amongst the choreography, costumes, characters and camp... the vocal work on this production is face-meltingly good. The band, under the baton of Tom Gearing drives the performance forward with energetic and vibrant orchestrations of beloved show-stopping material such as Go West, I Will Survive, Girls Just Want To Have Fun and I Love The Nightlife. Suitably matched with extravagant dancing cupcake and paintbrush costumes, it is no wonder Tim Chappel and Lizzy Gardiner’s superb costume designs have graced both stage and screen adaptions. 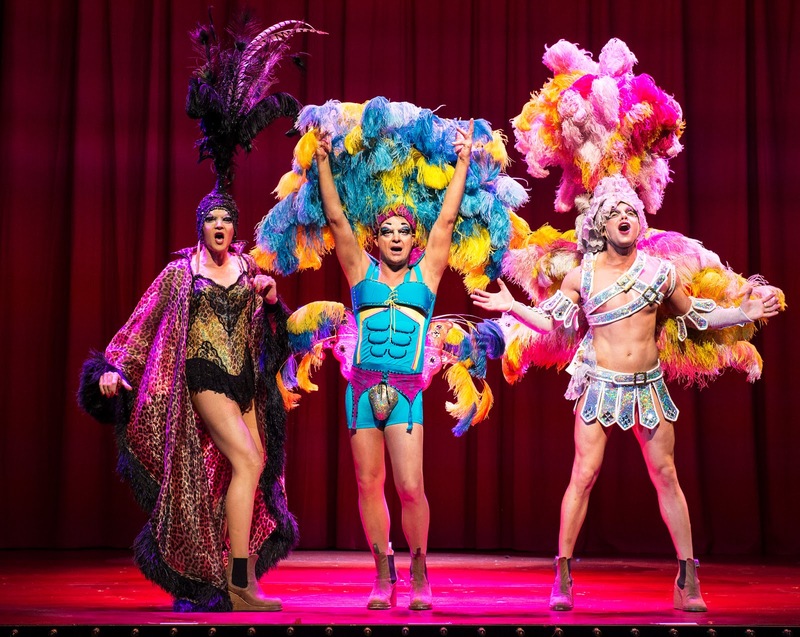 Priscilla is as camp as a row of tents, shamelessly entertaining and although it might not be everyone’s cup of tea, the audience gave their appreciation with a standing ovation that would make you want to ‘colour your world’ every day (and night) of the year.